Comfortable shoes are a must to keep us going through our busy day. Therefore, you probably have a special pair of comfy shoes that you cannot live without, which you probably wear religiously for every occasion possible. They may be the most comfortable shoes you own, but we can agree they are not a great option for casual or formal occasions. Therefore, it’s time to add a cute comfortable low heel to your shoe closet. So, meet Cecila! 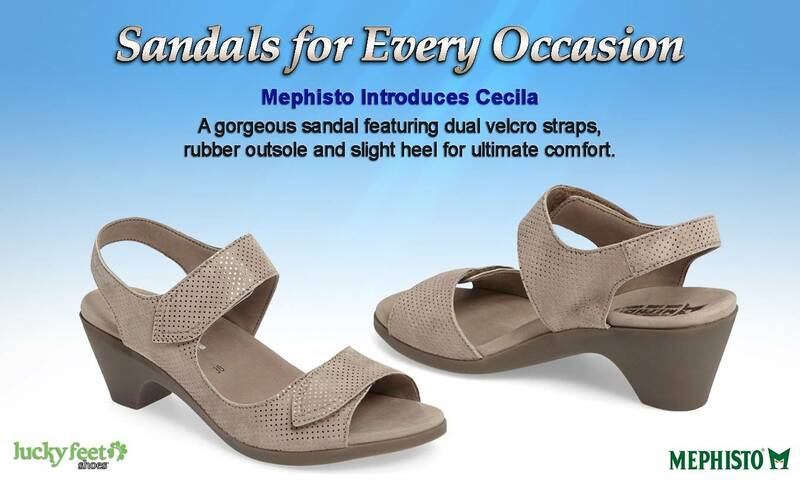 Mephisto just introduced Cecila, a gorgeous low heel sandal made with comfort in mind. 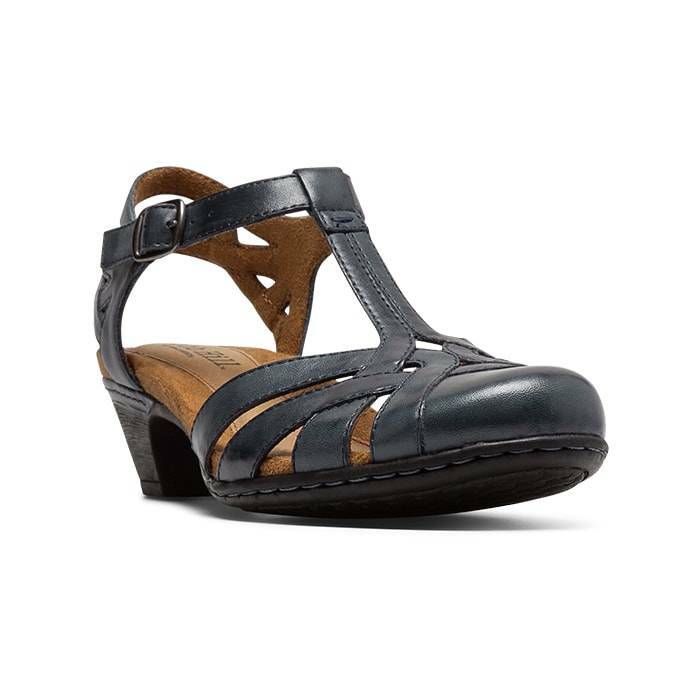 Cecila is a leather heeled sandal that is comfortable, lightweight and stylish; which makes it a perfect shoe for most outings. 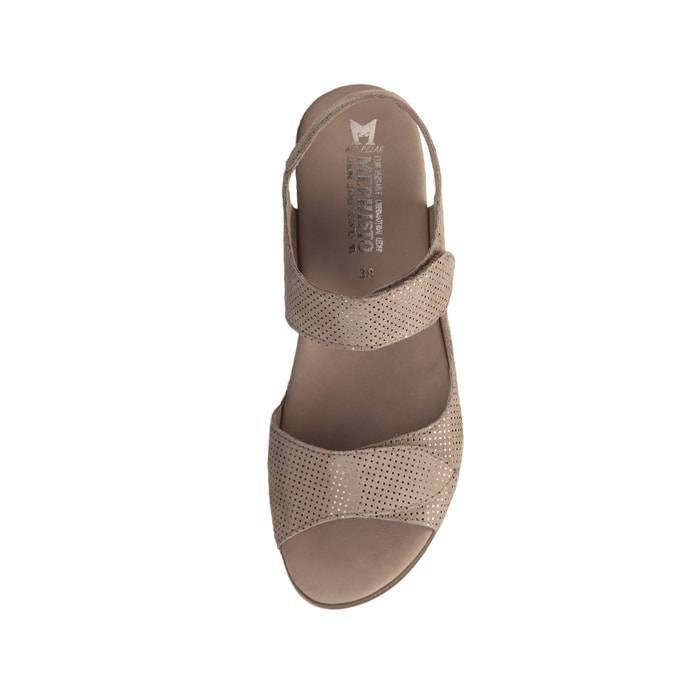 This is a low heel shoe you can wear all day without experiencing agonizing foot pain for the reason that it is made with dual velcro straps, a durable rubber outsole and a slight heel for ultimate comfort. The first detail you probability notice are the shoe’s velcro straps. They are dual hook-and-loop adjustable straps for maximum fit and feel. You can adjust the straps to fit your narrow or wide feet so you can find your perfect fit for stability and comfort. With Cecila loose or tight sandals are a thing of the past! Sometime in the past, you probably owned a pair of sandals with a thin outsole which most likely contributed to most of your foot pain. With Cecila, you will not experience that torturous pain again, since its thick rubber outsole helps minimize shock experienced from walking. For the reason that its rubber outsole observes unpleasant shock; instead, produces a soft and tireless walk. Finding comfort in a heel is not a challenge with Cecila. 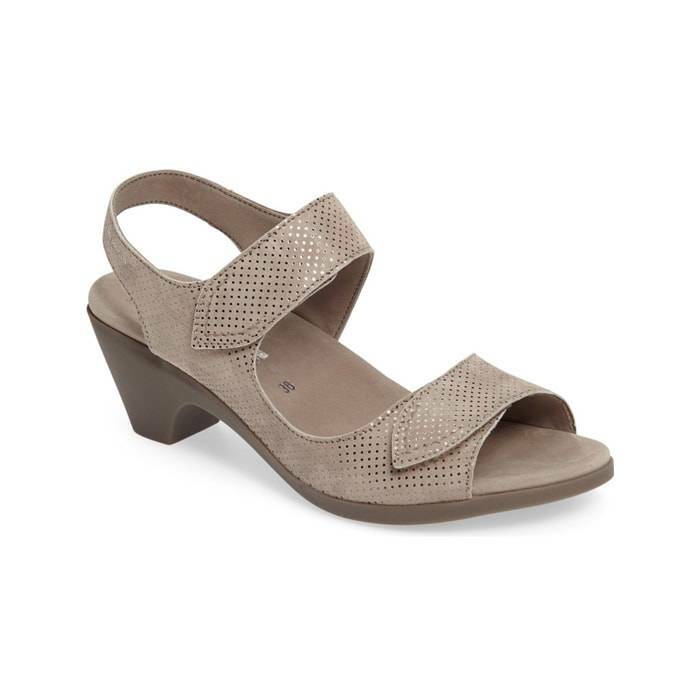 Cecila is a slight 2 1/3 inch low heel that gives you comfort and stability. It is also wide enough to help support your delicate ankles. Not to mention, this low heel is made entirely of rubber for shock absorption. Feeling comfortable and supportive in a heeled sandal has never been this easy! Especially when we can agree that comfort is essential for you. Now that you know what makes Cecila a comfortable heeled sandal, let us help you find your size! Click here for a store near you. Come into any one of our stores, located in Anaheim Hills, Rancho Cucamonga, Riverside, San Dimas, Temecula, La Quinta and Palm Desert! Visit us today and try on a pair of Mephisto Shoes! At Lucky Feet Shoes, we carry many Dansko shoes: sandals, heels, wedges, flats and casual shoes; in any of our Southern California stores. If you are looking for Mephisto Shoes in Orange County, the Inland Empire, Los Angeles County, Temecula or Riverside; we have seven stores to serve you! Come and visit us today!